Thanksgiving is right around the corner and, for many of us, that means mentally preparing for the annual digging up of family drama. Someone’s secretly pregnant – or was. Someone illicitly adopted a baby and is unwilling to return them to their birth parents. Someone is completely bankrupt and is planning a pilgrimage to their daughter’s house. Oh wait. That’s just the families in these incredible novels. To prepare for the family drama (and ensuing headache) of the upcoming Thanksgiving festivities, here are four novel courses of families you’re thankful aren’t yours, plus a palate cleanser to get you through the rest of the holiday season. 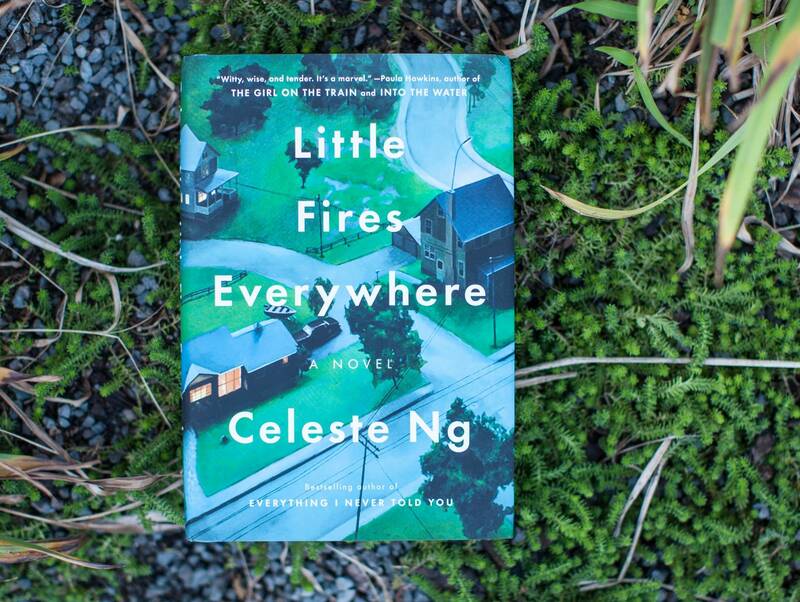 In Celeste Ng’s Little Fires Everywhere, the Richardsons’ only crime is being too invested in the lives of their neighbors. Like, so invested that they find estranged family members in an attempt to ruin their neighbors’ lives. Totally normal, right? And don’t even try to argue with them about the interracial adoption scandal going on in Shaker Heights. They’re one hundred percent on the side of the McCulloughs and refuse to hear otherwise. And if you push them on it, they’ll remind you that no one sees race in Shaker Heights. Spoiler alert: someone pushes them on it. If you thought your family was low key diabolical, just wait until you meet the Richardsons. J. Courtney Sullivan’s brilliant Saints for All Occasions opens with the death of Patrick Rafferty, the eldest son in the Flynn-Rafferty clan. But as the story unfolds, playing with time and location, we learn that not all is well in this Irish Catholic household. And Patrick’s family tree may not be as neat and tidy as it seems. There’s a misplaced pregnancy, a loveless marriage, a sister in a convent, and way too many family secrets. If you thought your family was a web of lies and half-truths, just wait until you meet the Flynn-Raffertys. 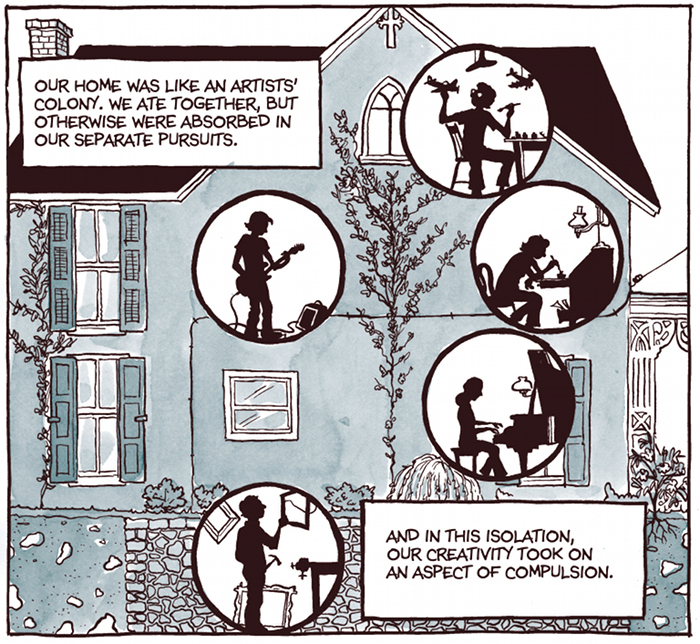 In Alison Bechdel’s deeply personal graphic memoir Fun Home, the writer-illustrator unpacks the secret that ultimately took her father’s life. While Alison was in college, she came out to her parents by writing them a letter. Nearly 300 miles away, her father read that letter, knowing he was living his life as a closeted gay man. The secret life wore away at him, even after he came out to Alison. But he had an image to maintain – at least that’s how he justified it to himself. Until one day he stepped into traffic, putting himself face to face with the headlights of a semi-truck. Despite the tragic nature of this graphic memoir, Alison Bechdel has proven herself to be a master of non-linear storytelling, in addition to a cautionary tale to families everywhere. If you have a homophobic family member at your Thanksgiving table this year, slip them a copy of Fun Home and let them know that everyone is welcome in your kitchen. 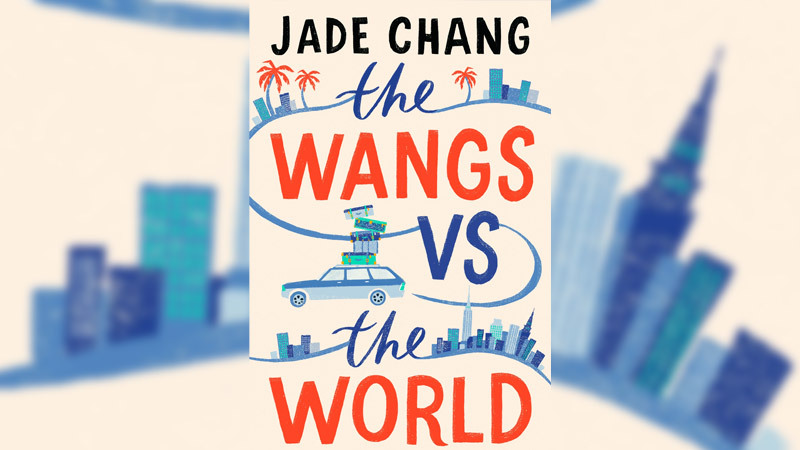 Jade Chang weaves a hilarious road trip novel around the newly bankrupt Wangs in The Wangs vs. The World. This family is taking things to the extreme, moving across the country and picking up their children along the way. Their oldest daughter has a house in upstate New York and they’re pretty sure she’ll be on board with a mass family move-in. If money is the topic at the table this Thanksgiving, take a cue from the Wangs and be grateful that your parents’ business didn’t go under this year. Because otherwise, they might be staying for longer than just Thanksgiving dinner. And now for your palate cleanser. Kate Heaney and Ariana Rebolini’s Public Relations is the ultimate post-Thanksgiving novel. It’s the kind of escapist reading that will make you want to text choice paragraphs to your friends, flirt harder with your crush, and stay in bed all evening reading. While every other novel on this list is filled with family drama, Public Relations is packed to the brim with swoon-worthy moments. Once you’ve finished it, you’ll want to immediately start reading it again.